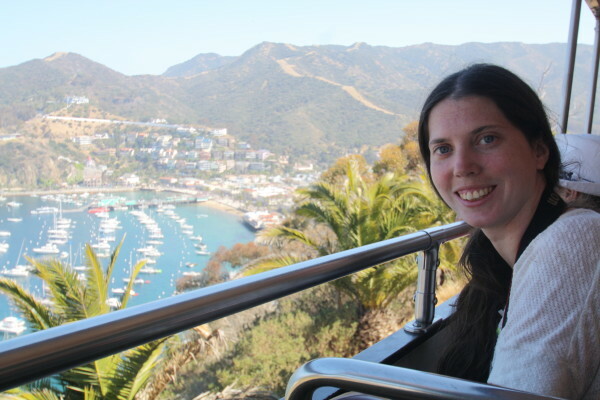 Before we went to Catalina Island for a weekend I had heard of the Glass Bottom Boats tours, and I was so curious. 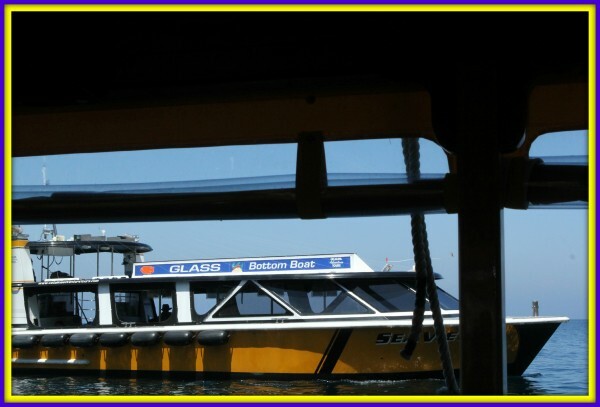 So, when we began to plan our weekend getaway, going on a glass bottom boat tour was on the top of our lists. Thanks to Discovery Tours for our complimentary tickets we made sure it happened. The Glass Bottom Boats take you out to Lover’s cove, and as you look down into the glass bottoms you see the fish all swimming below you. The driver’s send out food to the fish so they come right under the boat for you. The boats also had open windows for you to look out behind you. That day, we were fortunate to see a flying Osprey, and also a Seal chilling as we drove by in our boat. Prior to getting on board you are given a fish guide of the different kinds of fish that can be found throughout the cove, and what to keep an eye out for. The fish come out depending on different temperatures of the water. 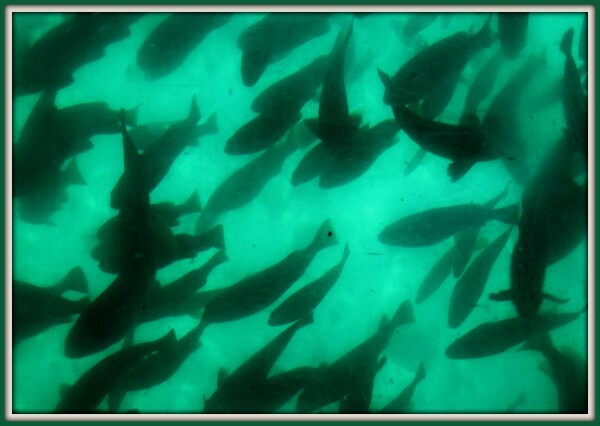 That day we saw a lot of the California Garibaldi fish, which is illegal to fish, btw. Their orange was pretty dazzling swimming around. Black Bass were rumored to be making an appearance that day, but during our tour, we had no luck seeing them. We also saw dolphins swimming in the distance. So, the glass bottom boats were a fun tour to take and experience. Catalina Eco Zip Line Tour: Propel down 5 separate zip lines dropping from 500 feet to 60 feet above sea level. Summit Night Adventure: Step into your bio-fuel H-1 Hummer for the beginning of a nighttime adventure. Climb the winding, tree-lined road up to the Summit for spectacular viewing of the island’s nighttime skies. 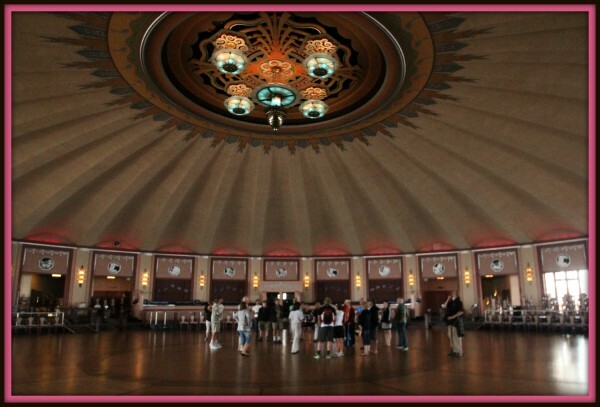 They also offer a “Behind the Scenes” tour that will take you into parts of the Casino that very few have access too, and you’ll hear the real history of the Casino. 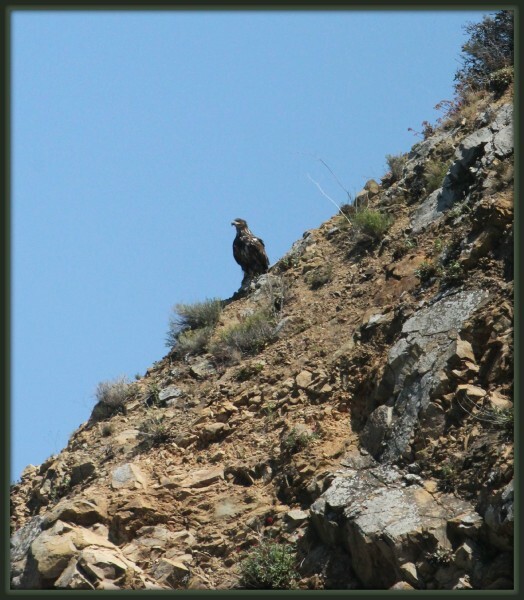 Inland Expedition: This comprehensive tour takes you 31 miles through the heart of Catalina’s rugged interior. You’ll travel in a comfortable, ’50’s Flxible Bus™, restored to its original streamlined beauty. Skyline Drive: This exciting, narrated journey along the scenic “ Skyline Drive” takes you ten miles into Santa Catalina Island’s protected wilderness area. Tickets are 45 dollars. There was also a more simple bus tour that took us around Avalon that just cost 20 dollars. 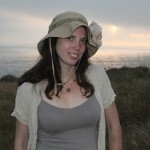 This was a great tour to take especially if its your first tour to Catalina Island. You will hear a lot of the history about the island, and truly learn about the island. 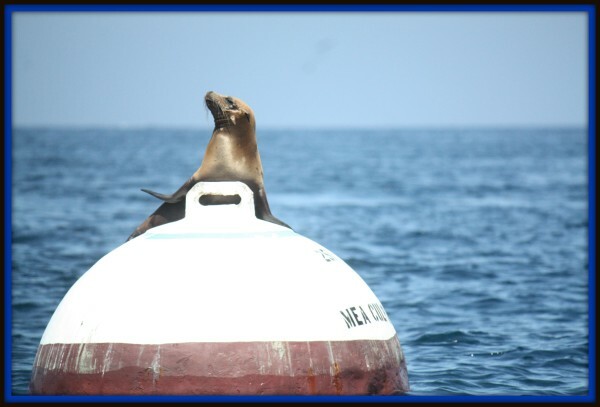 For more information about Discovery Tours and The Santa Catalina Island Company please visit their website. But, I highly recommend taking one of your tours while you’re out visiting the island. Disclosure: I was provided complimentary tickets to The Glass Bottom Boat tour for this review. All other tours were purchased on our own. we love Catalina Island. can’t wait to go back and check out the other tours. I think the zip line tour would be of the most interest to me — thanks for sharing! Hey Alexis, did you ever get to Catalina when you were in LA?